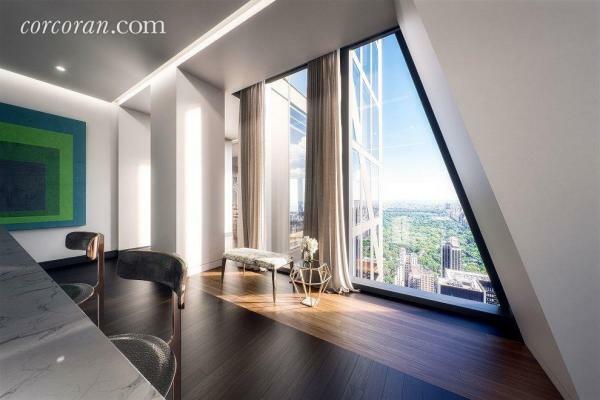 It previously was on the market for a total of 1,088 days. 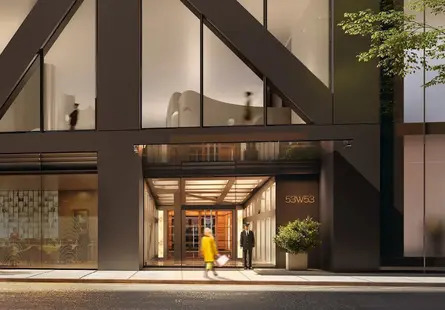 28 apartments are currently available in this building. 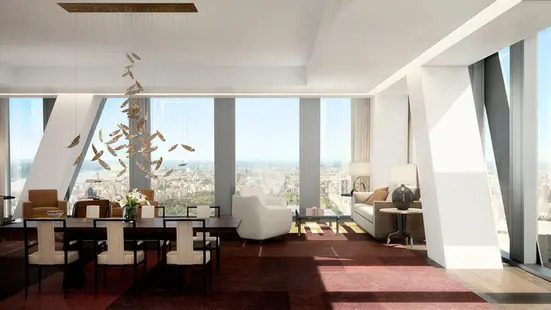 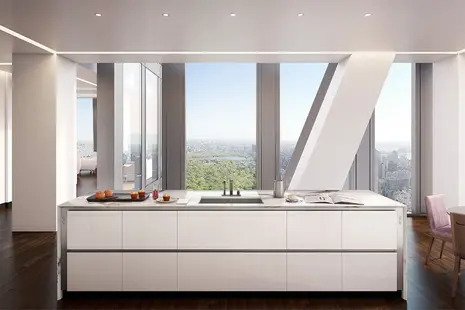 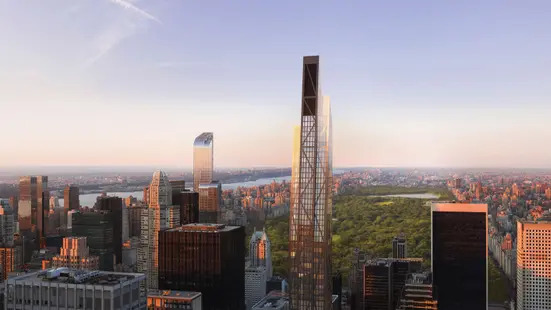 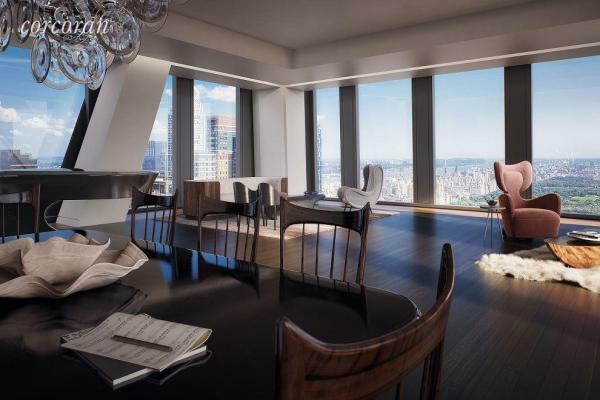 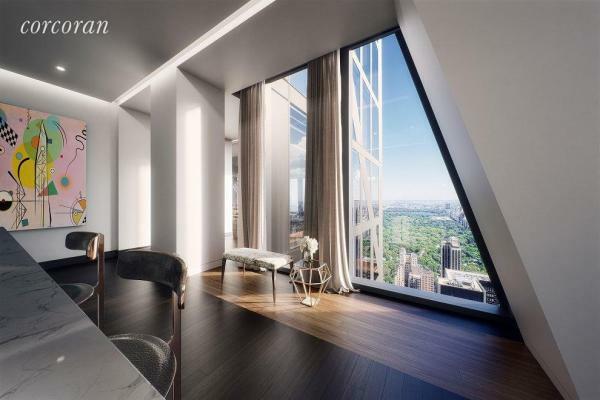 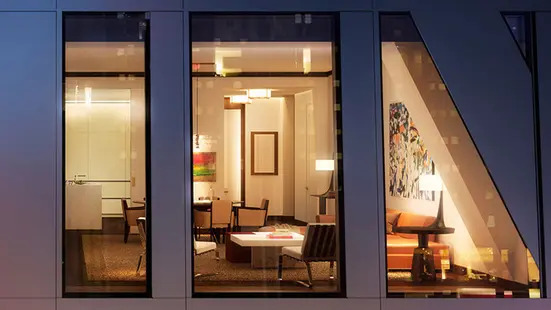 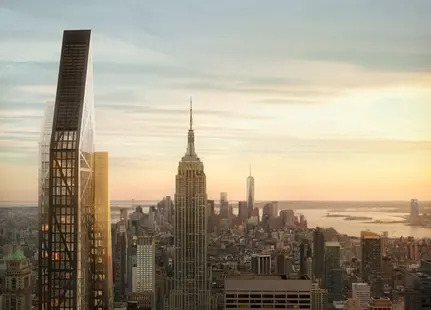 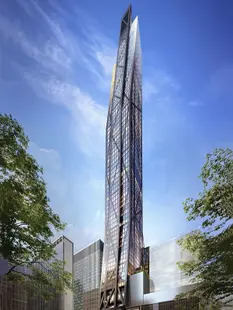 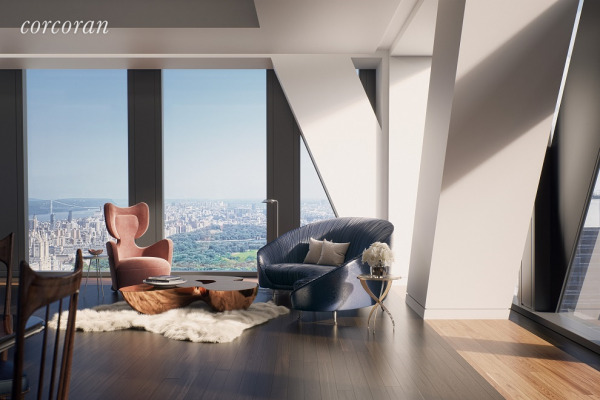 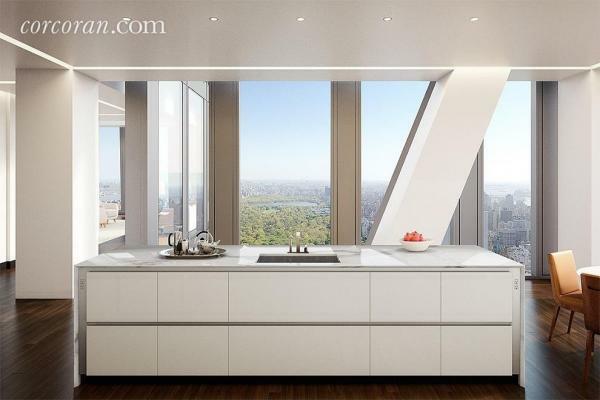 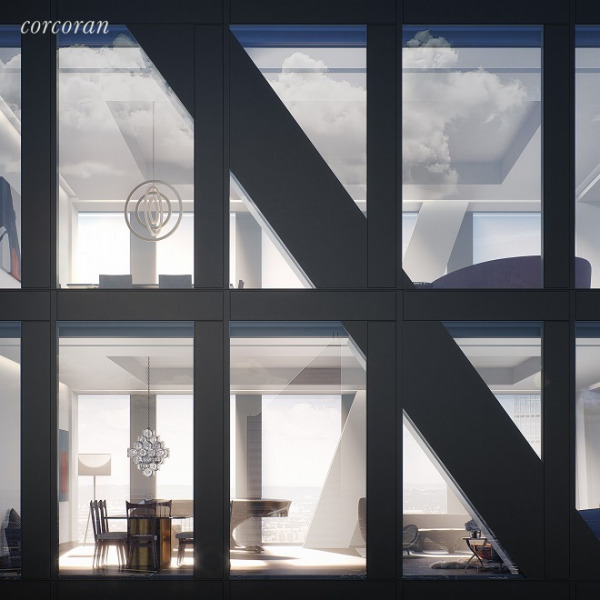 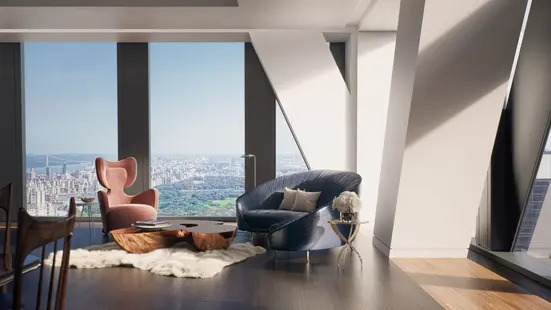 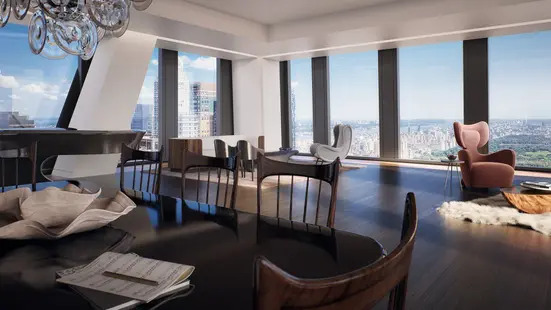 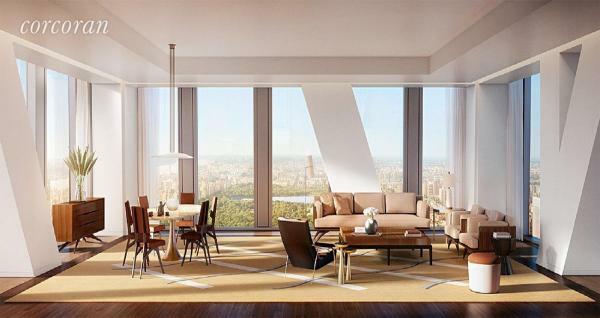 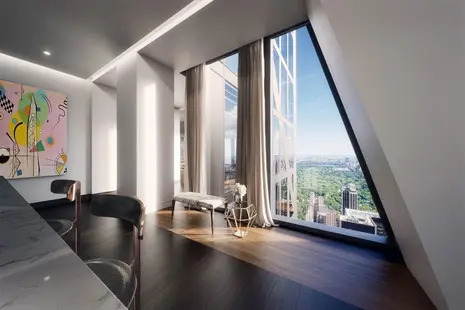 Enjoy panoramic Central Park, Hudson River, East River and downtown skyline views through floor-to-ceiling windows in this full-floor residence located in the new Jean Nouvel-designed tower rising above The Museum of Modern Art. 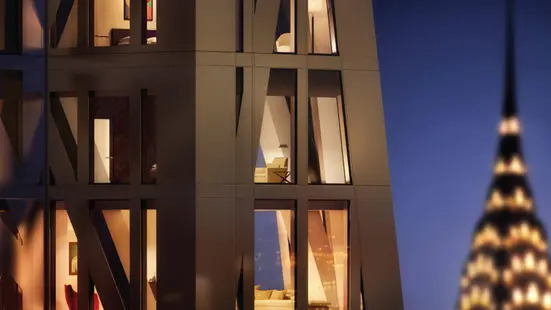 Nouvels innovative exposed structural system, known as the diagrid, is expressed like a graceful, abstract piece of sculpture creating a one-of-a-kind residence unlike any other in the world. 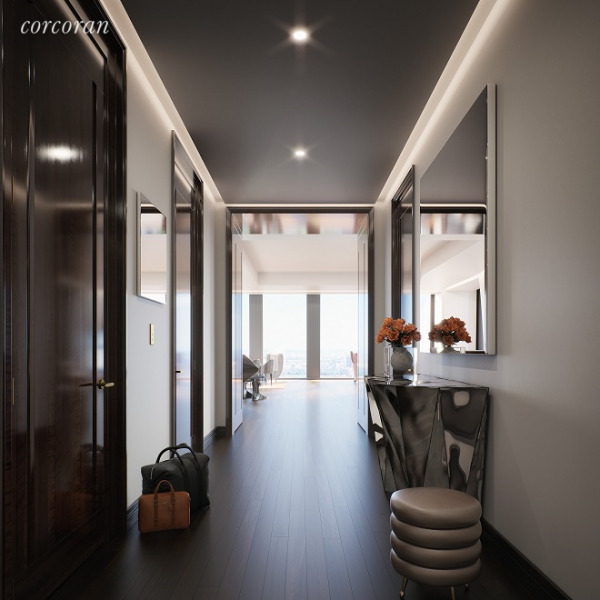 Within this 6,954 SF (646.1 SM) 4-bedroom home accessed by direct elevator entry, one finds a gracious entry hall, massively scaled living room, a palatial master suite, gym or additional dressing room, three generous secondary bedrooms, separate laundry room with sink and service entrance. 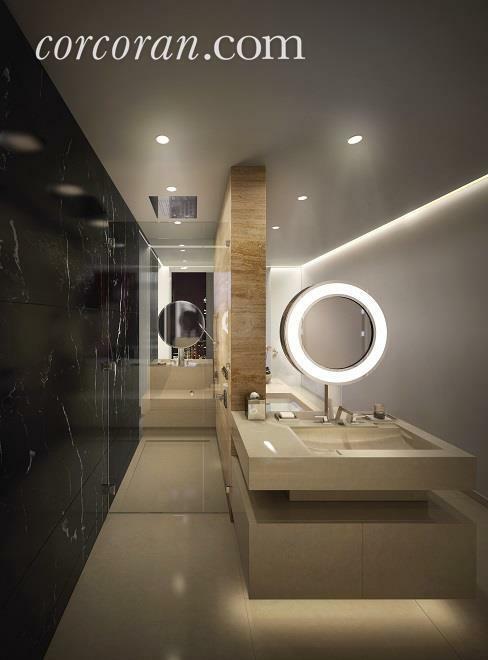 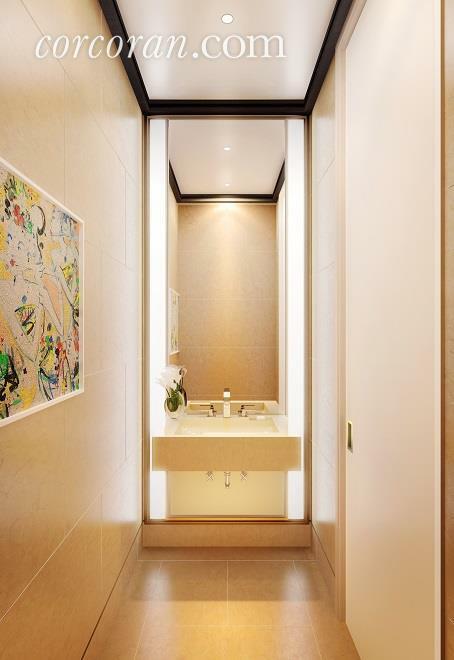 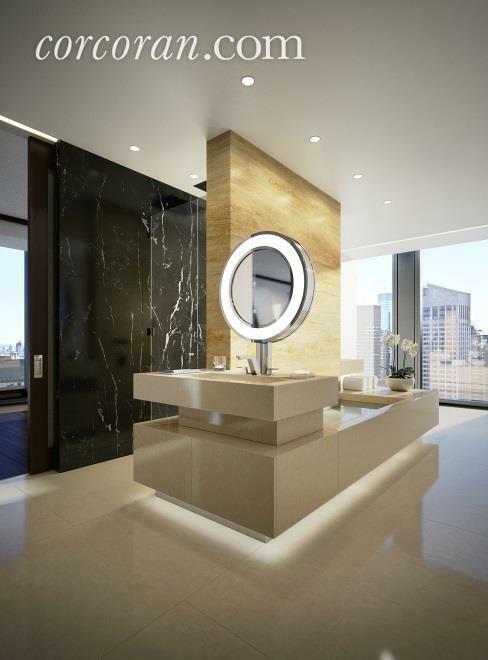 With interiors by Thierry Despont, Residence 62 also boasts an eat-in, park-facing kitchen with custom cabinetry by Molteni; statuary marble countertops and backlit backsplash; and complete suite of appliances by Miele and Sub-Zero. 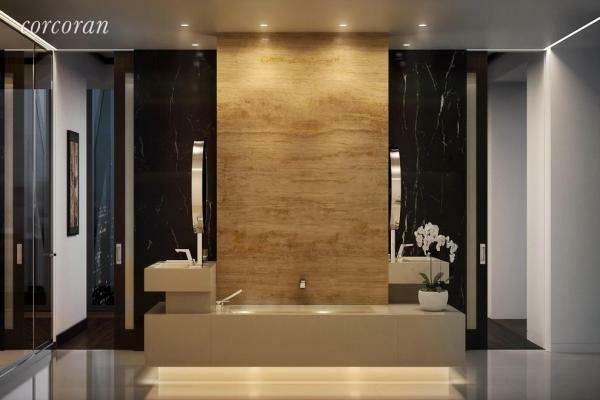 The corner master bedroom suite includes an extremely spacious master bath that features heated Verona limestone slab floors and baseboard, Noir St. Laurent marble and Peruvian golden travertine feature walls.